Tested for streaking and fading at 88F with a constant 80% humidity, all to prove Stay-Matte stays fresh. At the same time, this patent-pending formula absorbs shine, controls oil, resists sweat. And you stay matte all day. Apply after using your 3-Step Skin Care System. Start in center of face and blend outward with Foundation Brush or fingertips. Blend evenly for smooth, natural-looking coverage. For a seamless look, dampen fingertips and blend edges, especially along jawline. 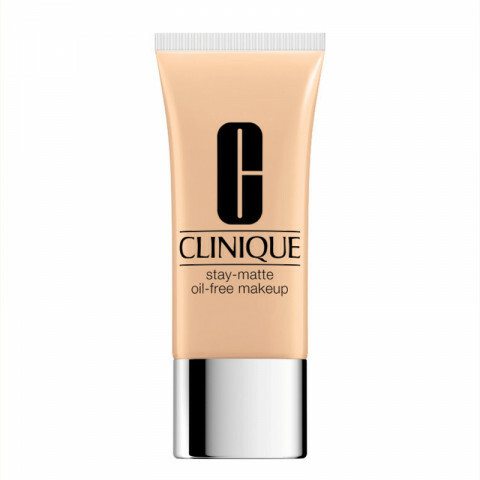 Remove with your favourite Clinique makeup remover. love the coverage and formula. applies well. I have a lot of redness in my skin, and this covers perfectly. It's not heavy and has a nice smell to it as well! im very proud of the product, when it says oil free it means it! Use this in the summer and it prevents my skin from getting oily and stays on all day.